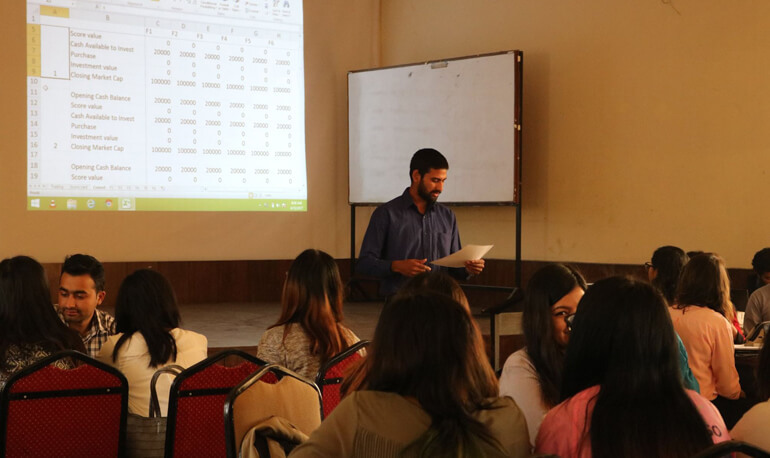 KuberWizz Induction & Wrap-up program was held on Wednesday, April 12 at Kathmandu College of Management. The program aimed to induct the second year students about KuberWizz program, wrap up the program for the third year students as well as award the best performing students during the fiscal year. Mr. NirajGiri, Executive Director at Securities Board of Nepal (SEBON) was the chief guest for the event. Similarly, HemantaBashyal, MD at Bashyal and Company Pvt. Ltd. was the guest for the program. Along with the program, a quiz contest and stock picking contest was organized. The winners were awarded NPR. 20,000 and NPR. 10,000 respectively.